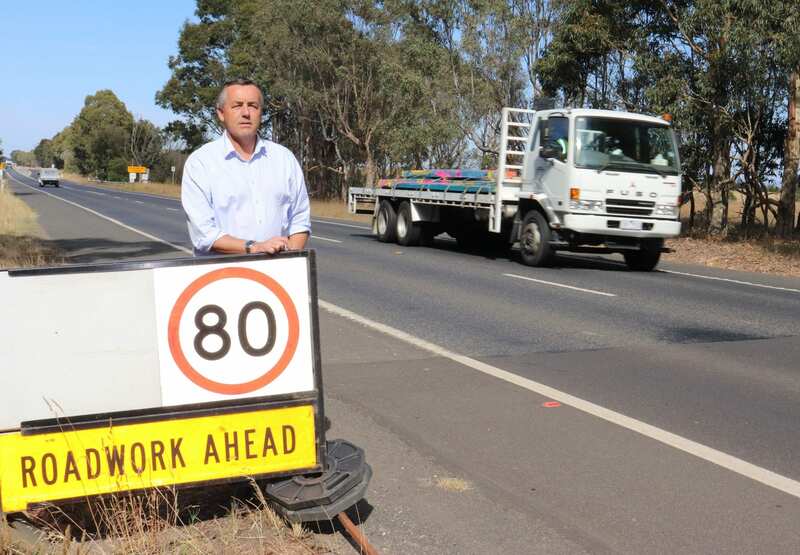 The Federal Member for Gippsland Darren Chester, pictured at Kilmany, has described the Andrews Labor Government decision not to fund the Princes Highway duplication project in the coming state budget as vindictive. Federal Member for Gippsland Darren Chester says the pressure is now on State Labor MP Harriet Shing to fight for funding to finish the Traralgon to Sale Princes Highway duplication project. Mr Chester said he was ‘bitterly disappointed’ that Treasurer Tim Pallas confirmed during a Gippsland ABC Radio interview that he had no intention of providing the State Government’s 20% share to finish the project. “The Federal Government has committed $132 million to fund the final two stages at Flynn and Kilmany. The State Government, which owns the road, only has to find $33 million to get the job done,” Mr Chester said. “It’s a project that will save lives, create local jobs, boost the visitor economy and improve productivity for local industries. Mr Chester said it was time for Labor Upper House MP Harriet Shing to stand up and fight for the people she’s supposed to represent. “Ms Shing shouldn’t take ‘no’ for an answer and must demand the $33 million is included in this year’s state budget,” Mr Chester said. “The highway duplication project has always enjoyed bipartisan support at state and federal level. It is economic madness to reject the federal funding already on the table. The first nine sections of the 42-kilometre duplication project were funded with $210 million from the Federal Government and $50 million from the State Government. The last of these first nine sections – at Nambrok and east of Traralgon – were opened to traffic before Christmas. “There’s just 12 kilometres of duplication to be done. We’re so close to finishing, but the State Labor Government has turned its back on Gippsland,” Mr Chester said.